Raymond Murphy has written the two most successful ELT grammar titles in the history of English language teaching. English Grammar in Use is now in its fourth edition, and was first published by Cambridge University Press in 1985. Essential Grammar in Use is in its third edition and was first published in 1990. English Grammar in Use Online is an easy to use resource with clear explanations of grammar points and exercises to check understanding. It’s an exciting new way to use the world’s best-selling English grammar resource for learners of English. The success of Murphy’s content lies in his ability to explain grammar in a uniquely clear and practical way. He continues to give millions of students the tools they need to tackle English grammar with confidence. 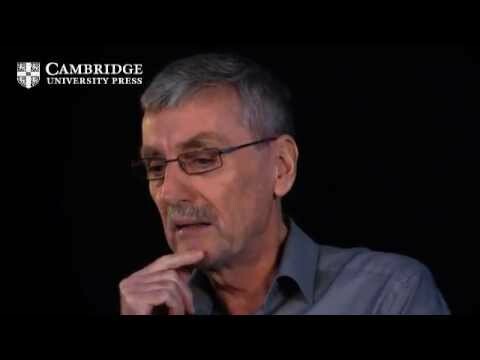 This interview, a world first, was filmed by Cambridge University Press in December 2011. Raymond explains how the first English Grammar in Use book came to be written and how it has developed over the years, with English Grammar in Use Online launched in February 2012.